This segment is part of The State of Science, a series featuring science stories from public radio stations across the United States. A version of this story, by Annie Ropeik, originally appeared on New Hampshire Public Radio. New Englanders had a chance to speak out this week about what they want to see in new Environmental Protection Agency rules for industrial chemicals in drinking water—but residents say the proof that they were heard will be in what the regulators do next. The EPA’s two-day meeting in Exeter was the agency’s first regional public input session on its plans for a broad class of chemicals known as PFAS, or per- and polyfluoroalkyl substances. PFAS include chemicals such as PFOA and PFOS, commonly used until around 2000 by companies like 3M and Dupont in a huge range of products—from non-stick Teflon pans and Gore-Tex jackets, to firefighting foams and stain-resistant carpets. But the PFAS category encompasses thousands of man-made chemicals in all—most of them unregulated, many found in high levels in drinking water around former military installations, fire stations, landfills and factories. 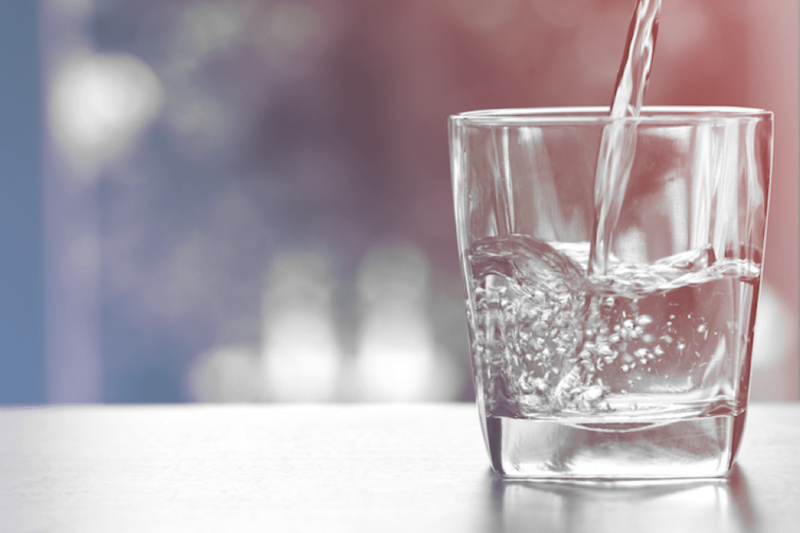 While a recent federal report says PFAS levels in Americans’ blood are declining, existing contamination in drinking water or human bodies will still take decades to break down. Some PFAS have been linked to cancer, developmental and reproductive issues, high cholesterol, kidney and liver problems, and preeclampsia and hypertension in pregnant women. Nearly 200 residents and public officials from all six New England states were at the EPA meeting June 24-25—but the predominant testimony came from neighbors of Pease International Tradeport in Portsmouth and the Saint Gobain plastics factory in Merrimack. Pease was one of the first major PFAS investigation sites in New England. Chemicals were found at high levels in the public water system in 2014. Andrea Amico co-founded Testing for Pease and made several presentations at the forum. Her kids ingested PFAS while in daycare at Pease, which she says brings her guilt every day. “This situation has really robbed me of some of my happiness as a mother, as a person, and that’s something I can never get back,” she says. Amico and others called for stricter limits on PFAS as soon as possible—they suggested 1 part per trillion, compared to the EPA’s current non-binding limit of 70 parts per trillion, which New Hampshire has adopted. The meeting came soon after the release of a report from an arm of the Centers for Disease Control, which said certain PFAS can threaten human health at levels seven to 10 times lower than that EPA advisory. The findings, which EPA had reportedly wanted withheld, mean many wells considered safe under current state laws would be deemed risky by the CDC. Communities that worry about their wells still want action from state and federal regulators. Several Merrimack residents testified about cancers and other conditions they suspect are linked to PFAS from Saint Gobain. They called for New Hampshire to lower its PFAS limit, do more blood tests to get data from citizens, and provide more bottled water. And residents near the Seacoast’s Coakley Landfill Superfund site also asked the state to be proactive. High levels of PFAS have been found around the landfill, and are already present in some neighbors’ wells at levels the CDC has deemed potentially risky. “Seeing those detection levels from the [landfill] monitoring wells makes me feel like I’m looking down the barrel of a gun, waiting for all of those parts per trillion to disperse to our drinking water wells,” said Jillian Lane, an activist from Greenland. The other big message to EPA was about money. Residents want the agency to do more to make polluters—including private industry and the Department of Defense—fund response, including health and environmental monitoring, water filters and treatment at PFAS hotspots. Sue Phelan lives on Cape Cod, where the county firefighting academy left PFAS in the peninsula’s sole-source aquifer. Like many similar sites, it’s now the subject of a class-action lawsuit. “Yes, this will be expensive. You need to make the polluters pay,” Phelan said in her testimony, to applause. State officials said they want uniform standards and more guidance and resources most of all. Vermont’s deputy natural resources secretary Peter Walke said they’ll need as much help as they can get as more states discover PFAS in their communities. He and others also asked EPA to approach all PFAS as a single issue, not thousands of separate ones—and to be proactive, rather than reactive. Sean Dixon, the EPA’s senior policy advisor in New England, summarized their takeaways as the meeting ended. He said they also understood that residents want more comprehensive and uniform data, standards and communication on the issue. Public officials at the meeting also seized on a line used by one local activist: “nothing about us without us.” They encouraged EPA and each other to give citizens a seat at the table in PFAS response and regulation. The EPA has promised to issue more state guidance and groundwater cleanup recommendations for PFAS this year. It’s also pursuing a binding limit for certain PFAS in drinking water, and working to list PFAS as a hazardous waste substance at Superfund sites. And it wants to study the chemicals that have replaced PFAS in American manufacturing. But some residents say they’ll believe those promises when they see them benefit their towns. Kristen Mello lives in Westfield, Massachusetts, which is considered an environmental justice community—where contamination has an outsize effect on low-income residents and people of color. She and others in her community have a range of chronic health problems that may be linked to decades of PFAS in their drinking water. She says they’re grateful to more affluent areas like Pease for bringing national attention to PFAS in New England—but she says Westfield hasn’t seen much action on its PFAS problem. Mello feels communities like Westfield didn’t get didn’t get enough attention at the EPA meeting. And she’s not convinced yet that change will come quickly, or spread equally to everyone. The EPA will hold other regional meetings on PFAS in the coming months as it develops new plans and regulations. New Englanders can also submit comments in writing through July 20. The EPA has received more than 26,000 comments on its PFAS plans online to date. This story has been updated to clarify that EPA is taking residents’ input into consideration, but has not yet made any formal policy decisions based on the Exeter meeting. Annie Ropeik is an environmental reporter for New Hampshire Public Radio in Concord, New Hampshire. 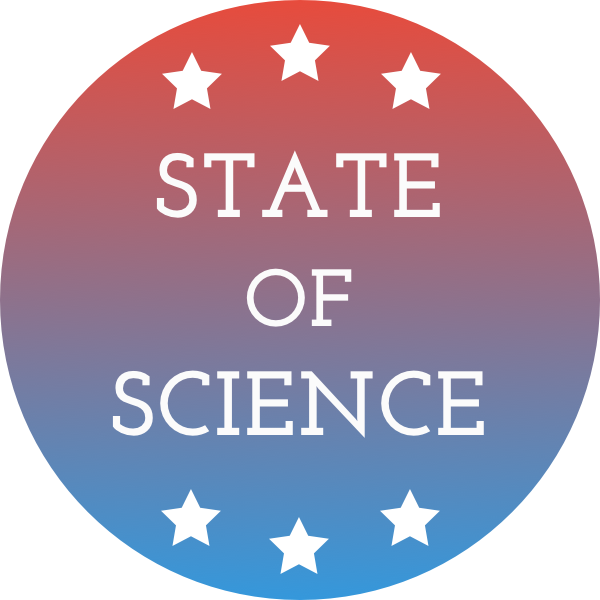 JOHN DANKOSKY: And now it’s time to check in on the state of science. SPEAKER 2: St. Louis public radio. SPEAKER 3: Iowa public radio news. JOHN DANKOSKY: Local science stories of national significance. A class of chemicals known as PFOS, short for pur and [? polyfluoro ?] alkyl substances have been used since the 1950s in manufacturing, the most commonly known is perhaps Teflon, but there are lots of other chemicals in the PFOS class. They were often used to make one thing resistant to other things. Think heat resistant, water resistant, stain resistant, grease resistant, nonstick coatings, flame retardant, that sort of thing. In recent years, manufacturers in the US have stopped using some of these PFOS chemicals. But the resistance properties of PFOS make them slow to break down. They stick around in the environment and they can move into the drinking water supply, and then into us. This stuff is all over the place. Today word came the day drinking water in Parchwood, Michigan, that’s the name for the paper mill there is contaminated. Now the EPA is holding hearings around the country on what to do about PFOS and the standards that should be involved. Joining me now is Annie Ropeik, environment reporter at New Hampshire Public Radio, a state with several PFOS hotspots and it was recently the site of one of those EPA hearings. Annie, welcome to Science Friday. JOHN DANKOSKY: So why was New Hampshire the first place to get one of these EPA public [? common ?] periods? ANNIE ROPEIK: So New Hampshire, like you said, has a lot of PFOS hot spots and our congressional delegation, a lot of our state officials, have been really out in front on this issue and tried to sort of push the conversation forward at the Environmental Protection Agency on what to do about these chemicals. New Hampshire is also one of just a handful of states that has really any regulations at all on these chemicals in drinking water. And we’ve got some active cleanup situations going on. I was just at the site of one this morning, Pease Air Force Base on our sea coast region, where the PFOS levels was really off the charts in some places and that was affecting some people’s drinking water a few years back. JOHN DANKOSKY: So the chemicals stay in the environment for a long time, they enter into water supplies. Do we really know what they do to the human body? ANNIE ROPEIK: We know a little and there’s a lot left to learn. And you know these chemicals, a lot of officials describe it as playing whack-a-mole because there’s just so many of them and it’s so hard to get any definitive answers about their health effects that you know once you have any information about one, there’s so many others and so many other questions to still answer. So we’re really pretty early in that process right now still but generally speaking many of these chemicals have been linked to all kinds of serious health issues if you drink or ingest enough of them over many years, things like kidney disease, liver disease, cholesterol issues, testicular cancer, other kinds of cancer, immune deficiencies, developmental issues, issues in pregnancy and with childbirth. So really all kinds of things here. And you don’t need to ingest a lot of them in order to see some health effects. It just can kind of can take a long time to show up. JOHN DANKOSKY: Well so given all of this, you would think the government had really tight standards about how much is safe, how much is dangerous. What do those standards look like right now? ANNIE ROPEIK: You would think wouldn’t you? So these are for or have been for what we call an emerging contaminant for a long time. They’re not really emerging anymore, they’re pretty much emerged. But these are like many other man-made chemicals just hard to understand and they’re a new issue. And so the EPA you know took some steps initially when this first started to become an issue in places like West Virginia to stop manufacturers using the chemicals and stop importing them. So that was one step. And then they issued a health advisory, which is sort of this non-binding thing that states could use to say don’t have more than this much in your drinking water or there could be health problems. Now they’re working on developing a hard limit, a national hard limit, on PFOS in drinking water so that water companies would actually have to test for it before they send the water down your tap, and it’s more of a proactive response than a reactive response. JOHN DANKOSKY: So we’ve said already these chemicals stay around for a long time, but they’re not really in use any more, at least some of them. There are more chemical compounds that are sort of like them that are still in production though. ANNIE ROPEIK: Yeah that’s right. So I mean these play an important role in all kinds of manufacturing, like you mentioned you know it was found near a paper mill in Michigan. Here it was the firefighting foams that were used at Air Force bases. It came out of a plastics factory. You know it’s in just so many different things that they play an important role and so they’ve come up with these new types of chemicals called next gen compounds or gen-x compounds, and they do the same thing but theoretically with fewer health risks. We don’t know a lot about those still though and that’s another thing the EPA is working on in the next few years is studying those next generation of nonstick type of chemicals to make sure that they really have solved the problem. JOHN DANKOSKY: Annie Ropeik is environment reporter at New Hampshire Public Radio who has been following this story for us. Thanks so much for being with us. I appreciate it. ANNIE ROPEIK: Thank you John. Foul smelling algae is plaguing three Florida counties, spurred on by billions of gallons of polluted water, rising water levels, and higher temperatures.